It's called credit card balance insurance, or balance protection insurance — and if you've signed up for a credit card, chances are you've been asked to buy it. But many experts say the insurance comes with high fees — typically a percentage of a cardholder's outstanding balance — and so many exclusions it can be hard to make a successful claim. "If it mostly disappears from the market, that's a good thing," said John Lawford, a consumer rights lawyer and executive director of the Public Interest Advocacy Centre (PIAC). "It's expensive, it doesn't cover a lot of situations, and it pays out a very small amount most of the time," he said. "It really is garbage." Marketplace took a hidden camera inside some of Canada's biggest banks — visiting Bank of Montreal, CIBC, Royal Bank and Scotiabank branches in the Toronto area — to investigate how bank employees marketed balance protection insurance when a customer signed up for a new credit card. "You can delete it any time you want," she said. "It's easy. You just have to pick up the phone and call. That's it." In a statement to Marketplace, CIBC wrote that the interaction "does not reflect our expectations or practices. If an issue is identified, we investigate immediately and take appropriate action to address the situation." "It's an insurance ... balance," said the employee, before grabbing a brochure about the product and reading aloud from it. BMO told Marketplace it takes any concerns from customers "seriously" and has "processes in place to review and address them when they are raised." At Scotiabank, an employee provided inaccurate information about what the insurance covered, claiming that the bank would pay off an entire credit card balance if someone lost their job. Scotiabank's balance insurance only pays 10 per cent of an outstanding balance — up to $5,000. In a statement to Marketplace, Scotiabank wrote that its "employees receive ongoing training on our available creditor insurance solutions." Multiple customer service representatives from Canada's big banks have described the aggressive and questionable tactics used to get people to sign up for the insurance. "We are misleading the client," one employee at a big bank told Marketplace. Marketplace is not naming the employee, who fears he could lose his job for speaking out. Watch the hidden camera investigation on Marketplace at 8 p.m. Friday on CBC TV and online. The bank employee said he and his colleagues are under pressure to meet sales targets by trying to sell credit card balance insurance to every customer who takes out a credit card. "Balance protection is something that's a scam," he said. "It's just something to take clients' money." He and his colleagues would sometimes sign customers up for products like credit card balance insurance without their knowledge, the employee said. Other times at his bank, he said, they wouldn't tell customers the insurance was optional — even though they are legally required to do so. "So for example, we'd say … 'This credit card comes with insurance,'" he said. Sales reps often also don't have a full understanding of the product they're selling and are told to stick to a script, the employee said. 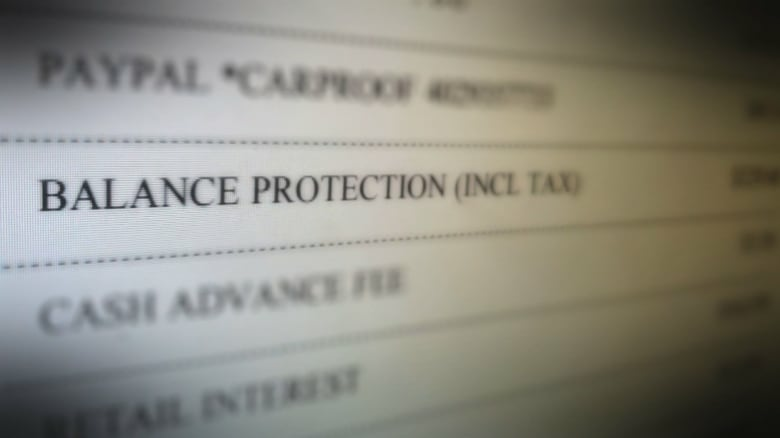 One example from that script involved citing examples of people who signed up for balance protection and were covered by the insurer after making a claim, he said. But he said he's witnessed many clients come into the branch to make a claim and get denied. Marketplace also spoke to a number of unhappy customers with Canada's big banks who said employees signed them up for balance protection without their knowledge or misrepresented the product. In one case, TD refunded a customer more than $6,000 after he said he had been unknowingly signed up for the insurance and had been paying a premium for years. Last year, the Financial Consumer Agency of Canada (FCAC) conducted a six-month review of sales practices inside the big banks — an investigation prompted after more than 3,000 current and former employees from all the major banks wrote to CBC's Go Public about the pressure to push products to meet sales targets. In May, the consumer watchdog warned a parliamentary committee that it had found credit card balance protection "problematic," saying the tactics used to sell the product were a "high risk" to consumers and that the insurance was "often sold without the appropriate explanation of how it works." Despite FCAC finding some evidence of misleading sales tactics, none of Canada's financial institutions have been fined. After reviewing the findings of Marketplace's hidden camera investigation, Lawford said he was struck by how the bank employees really didn't seem to understand the product they were selling. 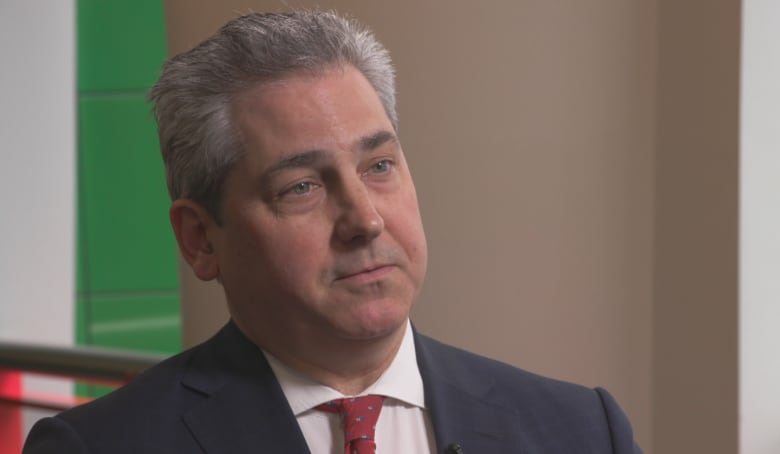 He said he hopes Canada's financial institutions will follow the lead of other major banks around the world that have stopped selling the balance protection insurance, such as the Bank of America and Australia's Commonwealth Bank. Regulators in the U.S., Australia and the U.K. have collectively fined banks billions for misleading consumers, including similar practices. Meanwhile, the Canadian government has tabled new legislation that, if passed, would create a more robust consumer protection framework, similar to ones that have existed for years in both the U.S. and the European Union. Since Marketplace's hidden camera investigation, Scotiabank has updated their balance insurance: It now pays out 20 per cent of an outstanding balance, up a maximum of $50,000, if someone lost their job. But it still does not pay off the entire credit card balance.